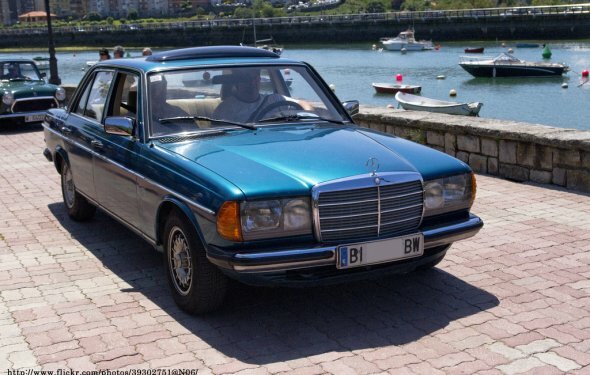 This article is written specifically for the W123 300D turbo. Some of the techniques will apply to W116 and W126 chassis with the 617 turbo motor, as well as an NA 300D. Starter replacement on a 240D is significantly easier because of the extra room. Count on approximately 6 hours for a hobbyist mechanic working on the floor of a garage taking on the task for the first time. A remanufactured Bosch unit is approximately $175+core as of this writing (available from this site). California models use a different starter, be mindful of your specific model and getting the correct part. A note: If sourcing an ‘off brand’ starter at a chain parts store - be sure to have the store test it before you install into your vehicle. You will not be happy to do this twice if the starter is DOA. Remove negative lead from battery and cover securely to ensure it does not make contact with the battery post. For extra security, also remove the positive lead. The wires that lead to the starter are designed to deliver a very large amount of power and are directly connected to the battery's positive terminal. Remove 13mm bolt from back of ATF fill/dipstick tube. A 13mm ratcheting gear wrench is useful here. See pic #1. ￼Securely chock rear wheels. Put car on jack stands placed under front body rails. See pic #2. Remove the starter brace at the front of the starter (towards from of engine). 10mm bolts hold it to the block and starter. A 10mm ratcheting gear wrench is helpful. They should come out easily. Place in bag off to the side. Clean heads of 10mm allen starter bolts thoroughly with a toothpick, dental pick etc. It is important to seat the allen key completely into the bolt. Spray out bolt heads with brake cleaner. Use the straw to direct the spray directly into the bolt head. Repeat. Spray bolt heads liberally with PB Blaster/Aero-Kroil etc. Spray Bolt #2 from the top-side. While the bolt loosening solvents are working, take one of the 10mm allen keys and cut a straight section of approximately 7/8” off the end using a dremel tool, angle grinder etc. This will be used on Bolt #2. See pic #5. Place allen key with short end into M10 allen Bolt #1. Be sure wrench is engaged fully (about 1/4”) into the bolt head to prevent stripping. Heat bolt head with propane torch for 2 minutes to loosen bolt. Once broken free, do not remove bolt yet. You will remove bolt #2 fully first. From top side, place 7/8” self made allen bit piece into head of Bolt #2. Be sure bolt fully engages into allen head approximately 1/4”. Heat bolt head from below with a propane torch for two minutes. A helper looking from the top side is very helpful to verify that the flame is directed at the bolt head - you can not see bolt head easily from below. Thread tool assembly made in step #10 up to bolt from between exhaust and transmission pan. It is very helpful to have an assistant move the transmission dipstick tube out of the way. Engage 10mm socket to end of 10mm 7/8” piece of allen bolt. See pic #9. Break bolt free (may take a lot of force). Remove bolt #2. Remove bolt #1 while holding starter. After bolt #1 is removed, starter will fall free. It’s heavy, be careful. You can gently lower the starter out of position and rest it on the idler arm and tie rods. Turn front wheels to approximately 30 degrees to the right (as if you were turning right). This allows extra clearance between the tie rod and frame. Inspect flywheel for damaged or missing teeth. Rotate engine clockwise by means of 27mm socket attached to crankshaft bolt at front of engine. If missing teeth are noted, it will need to be replaced: Consult forum for assistance. See picture #11. Clean sealing surfaces around starter mount of accumulated dirt and grime with brake cleaner and rag. Clean starter mounting bolts with a brass brush of rust. Apply a drop of engine oil or other light oil to prevent further corrosion and rust. Clean starter electrical contacts with sandpaper or brass brush and rinse with brake cleaner. Install new starter. Assembly is reverse of removal. Be sure to install starter flush to housing, hold in place while threading and tightening bolts. Torque for starter bolts is 50nm. There is no easy way to use a torque wrench - an estimate of this torque will need to be used. Place dielectric grease over starter connections once they are made and tightened. Don’t forget to re-secure the 13mm bolt that attached the transmission dipstick tube. Enjoy your new starter! If you had an old tired one, the power of the new unit will be surprising.